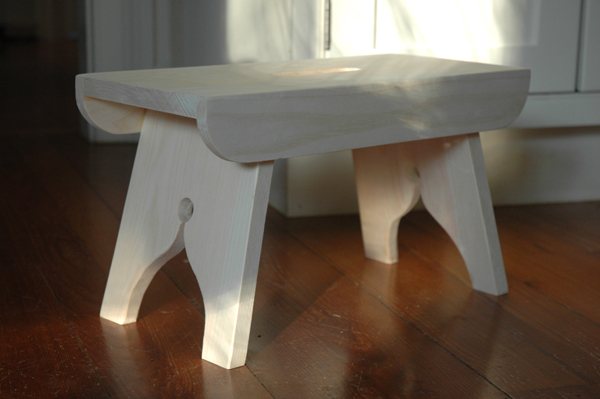 Last week, I was working on a little stool for Heather, and it is almost done. I just need to finish sanding it, and then I think she is going to paint it some nice color. The design is based off of a 100-year-old pattern from the Naas model series, and was in Swedish. These patterns were used in a late 1800s Swedish educational program for woodworking called Sloyd. 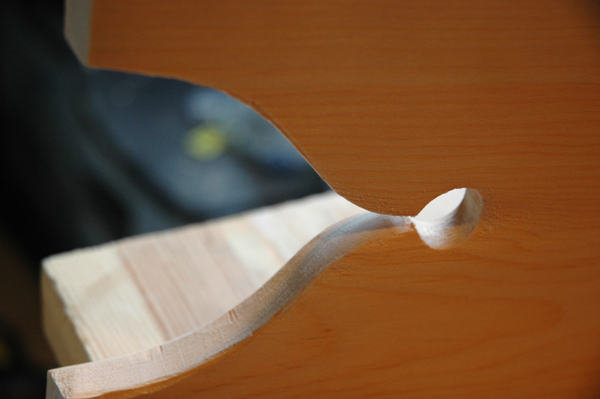 For me, it was a good excuse to practice some handtool skills and play around. 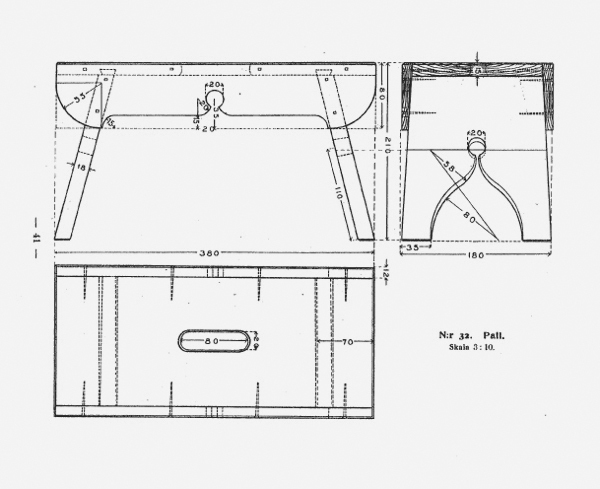 A view of the sliding dovetail that connects each of the two legs to the seat of the stool. 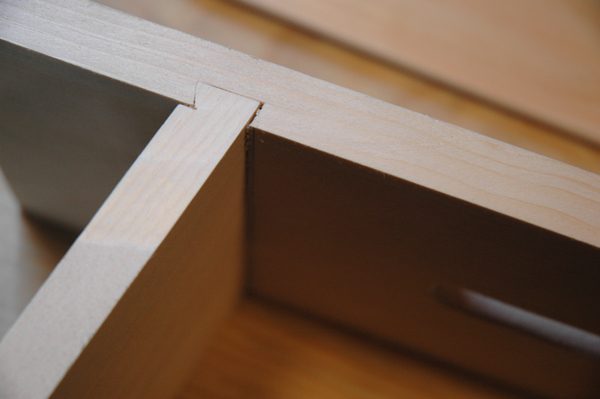 In the end, this joint gets covered with the horizontal cross-piece.